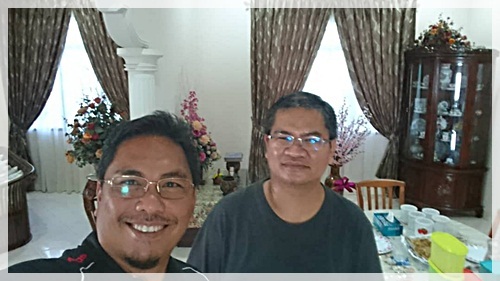 16th JULY 2018 ~ When my ex-schoolmate of SMS Muar announced he would be in town, I asked him to drop by my place as the Eid cookies were still in the jars on the table. Three days after the Eid was officially over was still not too late. 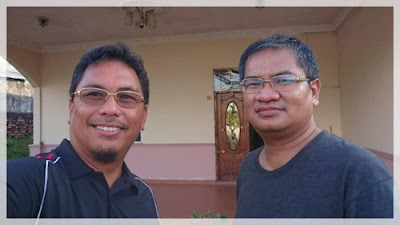 Furthermore, Mr. Shamsul Akmal Shamsuddin, who was in the same Budiman class and my dorm mate for two years, had never been to my house before. Thank you my friend for coming. 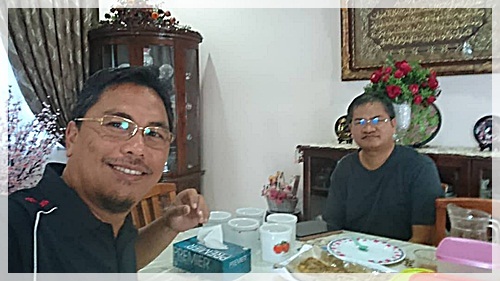 There should be more opportunities for us to spend time together as he seems to be coming to Johor Bahru more frequently now.